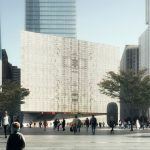 After stalling for years, the $243 million World Trade Center Performing Arts Center started to make headway in recent months, first with a decision to go with REX as the designers and then with a $75 million gift from Billionaire businessman and philanthropist Ronald O. Perelman (who is gaining naming rights). 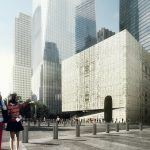 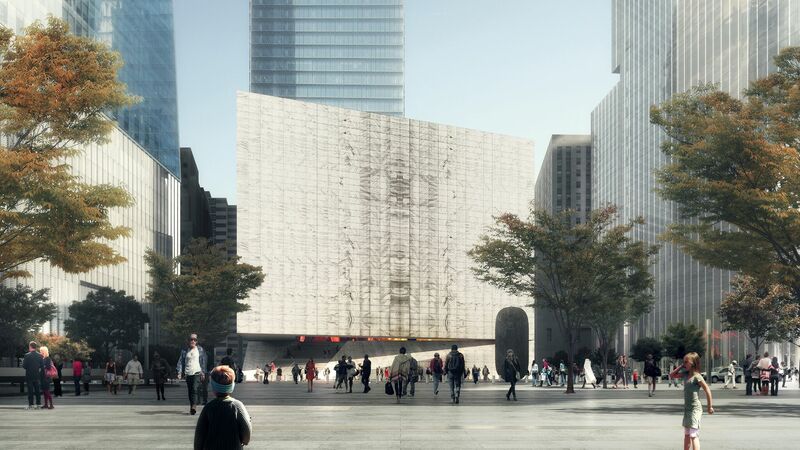 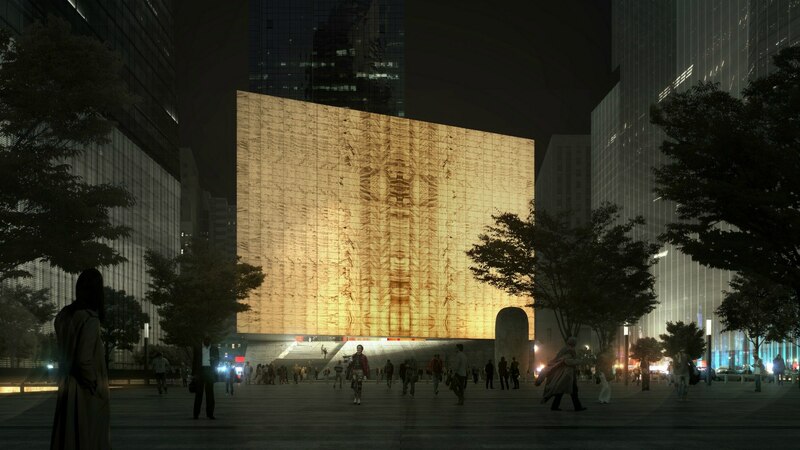 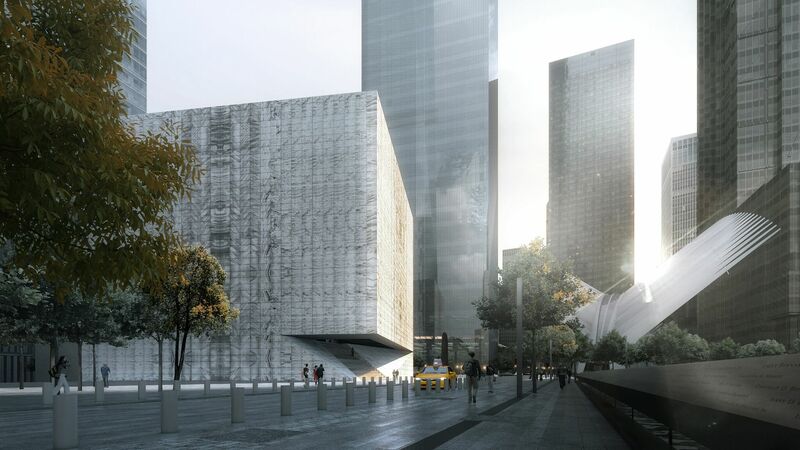 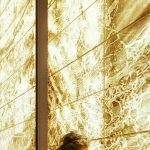 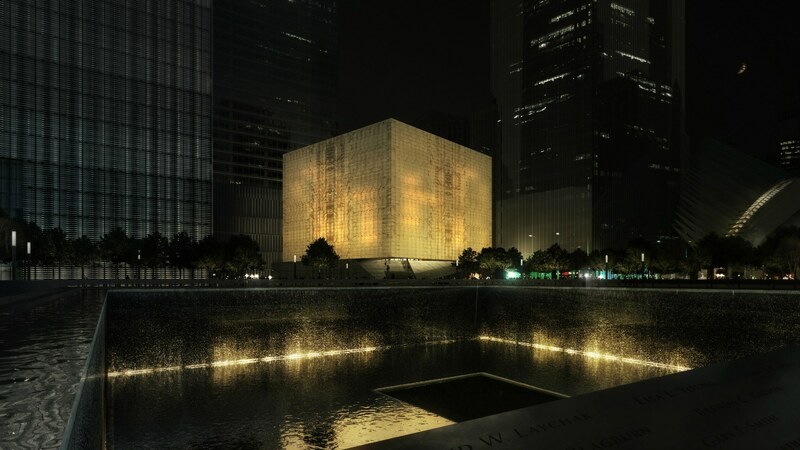 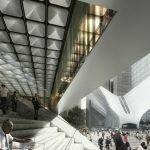 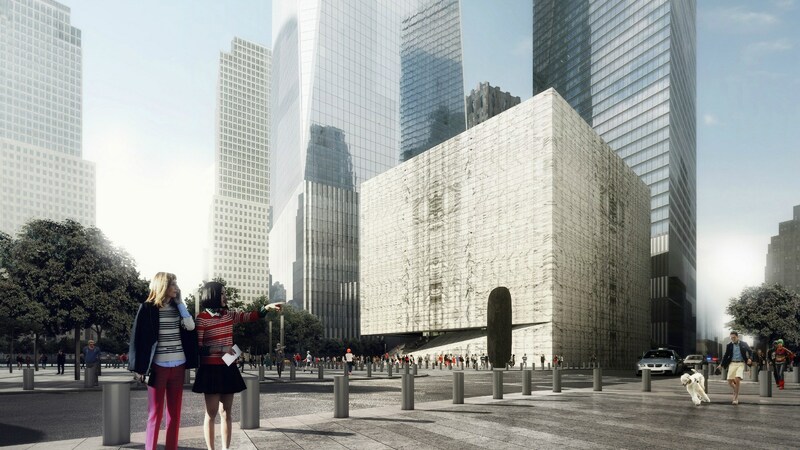 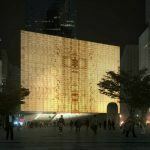 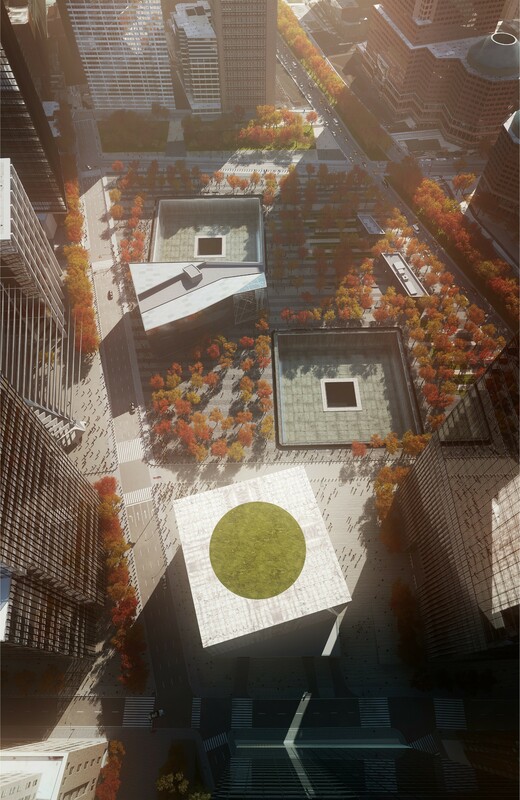 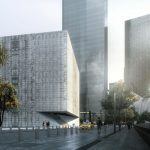 And finally, the official renderings have been revealed, and they showcase a nearly 90,000-square-foot, translucent veined marble cube that both stands out as an impressive piece of cultural architecture and co-exists with the other structures on the WTC complex such as the 9/11 Museum and transportation hub. 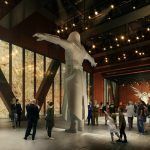 The marble comes from the same Vermont quarry that was used for the U.S. Supreme Court building and the Thomas Jefferson Memorial. 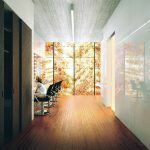 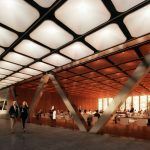 It will be laminated on either side with insulated glass that, by day, lets light into the interior and, by night, creates a glowing effect. 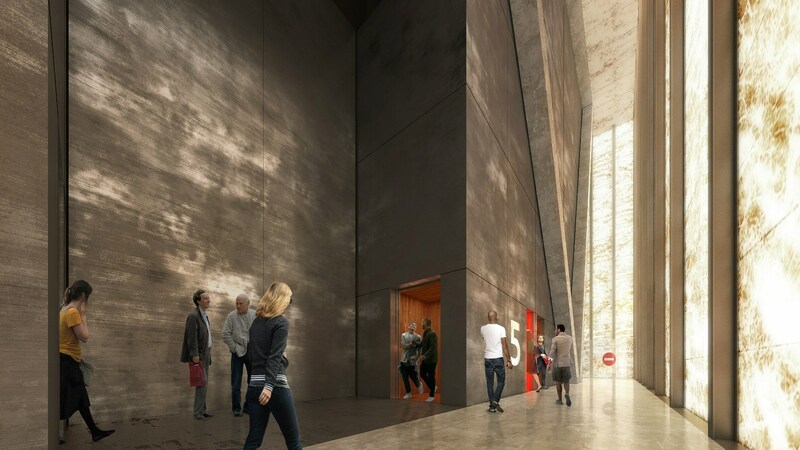 Another interesting tidbit from the press release is that Brooklyn-native Barbara Streisand will serve as chair of the Center’s board. 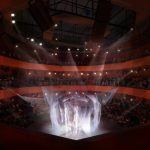 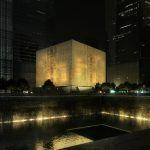 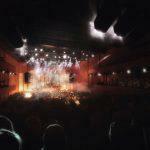 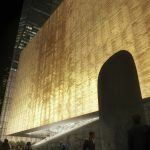 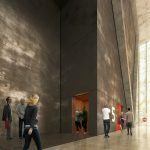 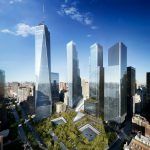 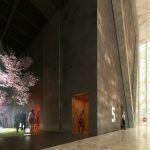 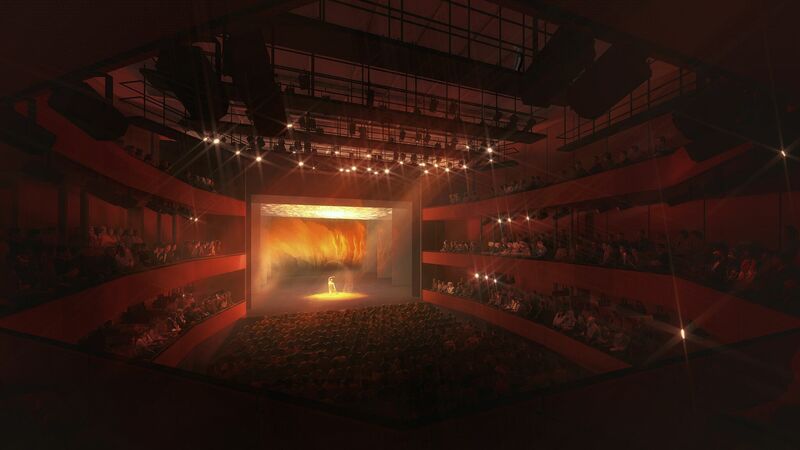 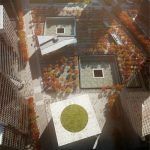 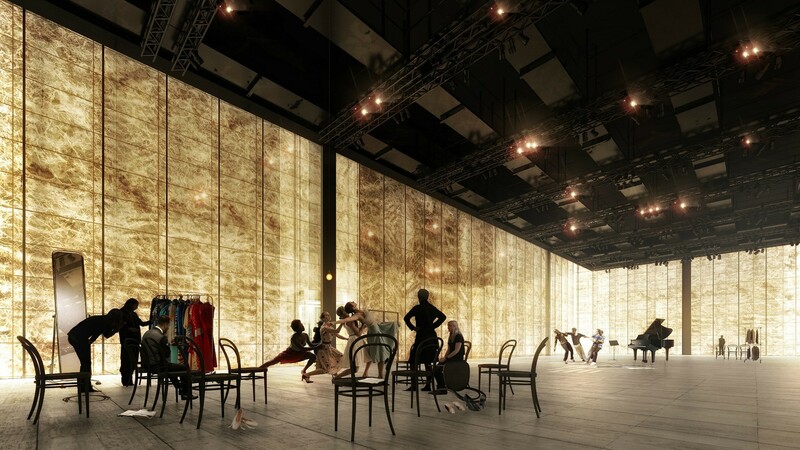 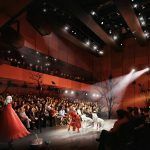 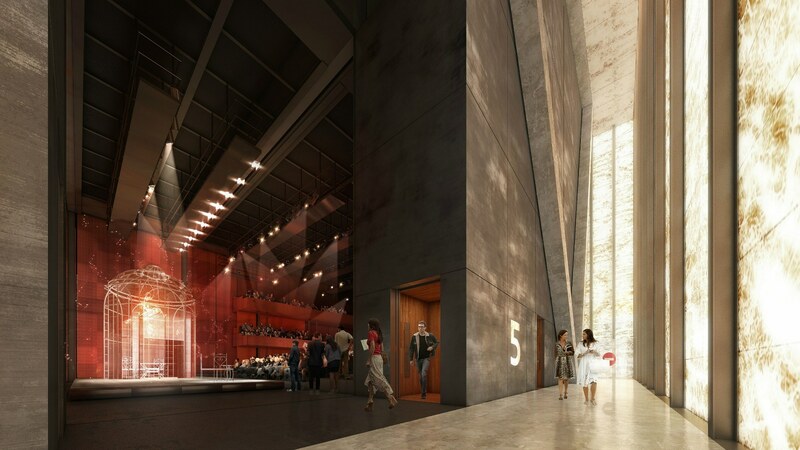 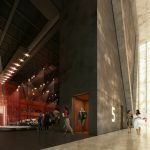 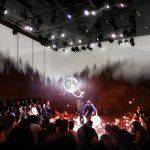 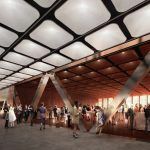 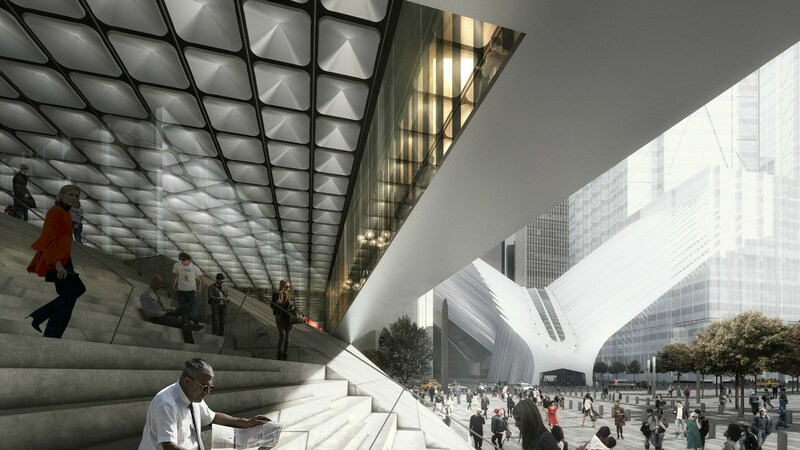 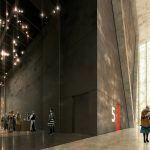 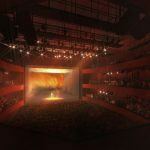 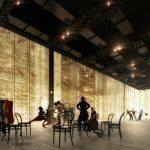 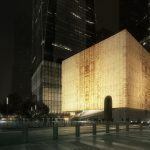 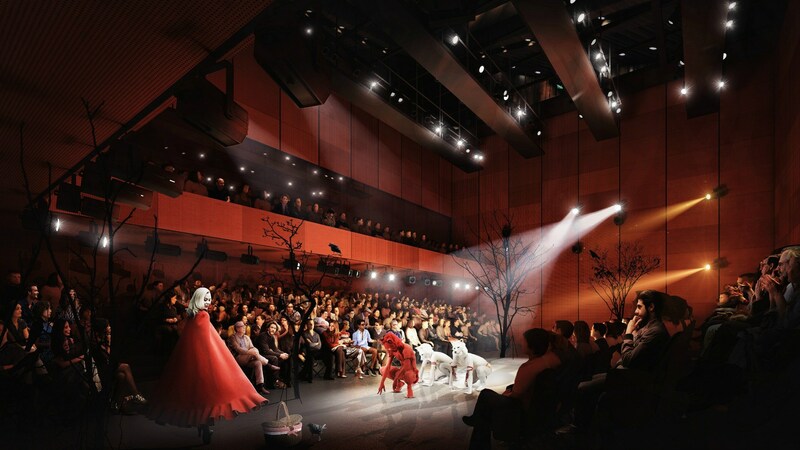 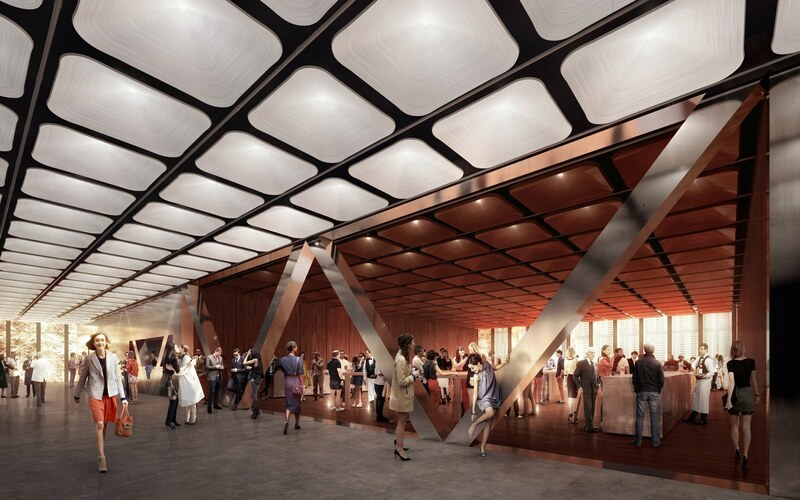 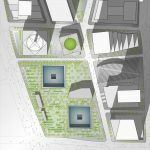 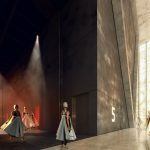 The Perelman Center, which is the final piece of the WTC master plan, is expected to open in 2020, when it will “produce and premiere theater, dance, music, film, opera, and multidisciplinary works,” as well as host the Tribeca Film Festival.